ModernWallGraphics.com | Wall Decals, Wall Stickers, Wall Graphics. Removable, Custom, Designer, For Kids, Home, College Dorms, Apartments, Kids Rooms, Children's Rooms, Tree Wall Decals, Chandelier Wall Decals, Words, Lettering, Damask Pattern. No Artistic or Technical Skill Needed! 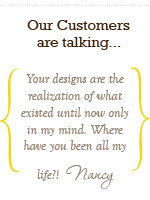 Over 300 graphic wall decal styles! Use on virtually all interior surfaces! Our wall stickers can be used on virtually any interior surface! Our wall stickers work great on walls, glass, floors,doors, ceilings, furniture, and more! Quick and Easy! Redecorate your house in a day! No artistic or technical skill required to apply our wall decals stickers. Kids can do it too! Just Peel and Stick! Wall Slicks surface graphics are quick and easy to apply! Perfect for the Do-It-Yourself enthusiast. Removable - These adhesive wall graphics are as easy to remove as they are to apply, and are guaranteed to not leave residue. Perfect for apartment dwellers, college dorms and kids rooms. No mess, inexpensive alternative to paint techniques, murals, stenciling, and stamping. Anyone can quickly add and remove these exciting wall decals. 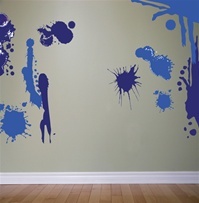 Realistic - Wall Slicks wall decals look like paint! Thinness of material and opaque, matte finish allows decals to blend in with any decor and not look "stickery". Change your decor as often as you want! Removable wall decals are ideal on the walls of your baby’s or child’s room. As the children’s interests change, so can their rooms. High-Style, designer wall graphics will improve the style in every room of your home. Our wall decals can be used in the kitchen, playroom, living room, family room, bedroom, dorm room, even the garage. Mix and Match styles sizes and colors for your own unique look. New styles of wall decal stickers are always being designed. Large variety of styles, sizes and colors. You can find the perfect wall graphics to fit your current interest.